There was a quote from Lyndall Gordon’s Lives Like Loaded Guns: Emily Dickinson and Her Family’s Feuds, describing the poems. I wasn’t able to fit it into my review of the book. A Dickinson poem can open out into any number of dramas to fill its compelling spaces. As a woman unmodified by mating, a stranger to her time, speaking for those who are not members of the dominant group, Dickinson’s dashes push the language apart to open up the space where we live without language. This act of daring takes off from a logical argument along the tightrope of the quatrain. She flaunts her footsteps. Her poetic line is a high-wire act: a walker pretends to hesitate, stop, and sway; then, fleet of foot, skips to the end. Gordon gives a thoughtful analysis of Dickinson’s poetry. The foundation of her claim that Emily suffered from epilepsy is constructed on the clues she picks out of the poems, making it all the more convincing. So if you love the poetry, and aren’t interested in the drama of the poet’s life, Lives Like Loaded Guns won’t disappoint. Another source, one I highly recommend, is Adrienne Rich’s On Lies, Secrets, and Silence: Selected Prose 1966-1978. It contains an essay, written by Rich in 1975 – Vesuvius at Home: The Power of Emily Dickinson. 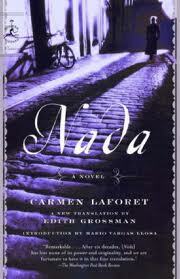 It was my introduction to the Emily described in both Lyndall Gordon’s and Jerome Charyn’s books. Dickinson is the American poet whose work consisted in exploring states of psychic extremity. For a long time, as we have seen, this fact was obscured by the kinds of selections made from her work by timid, if well-meaning, editors. In fact, Dickinson was a great psychologist, and like every great psychologist, she began with the material she had at hand: herself. She had to posses the courage to enter, through language, states which most people deny or veil with silence. And then, of course, there are the poems. I’ve been reading them since I was 13 years old and still find them bewildering. But isn’t that the mark of genius? Like the cliché onion, great poetry has layers that we can peel away; at different stages of our lives we discover different meanings. At the height of the feud between his wife, sister Lavinia and his mistress, Austin Dickinson writes “This may all seem very queer to you, and it is. 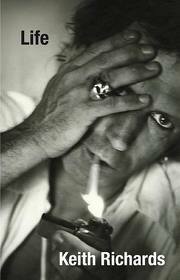 We are a queer lot.” This wasn’t merely a figure of speech. The Dickinson family was indeed “a queer lot”. Thomas Wentworth Higginson referred to Emily, in particular, as “my partially cracked poetess in Amherst”. These three siblings lived their lives on their own terms. And as a result created the kind of melodrama we expect to find in a daytime soap opera; not a small, 19th century New England town. 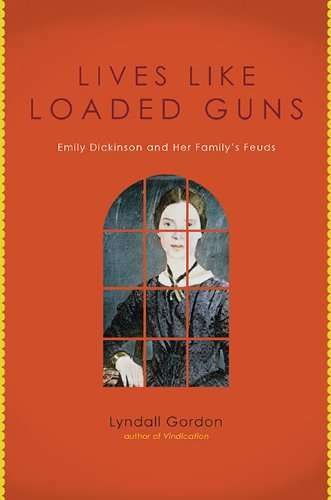 Lives Like Loaded Guns: Emily Dickinson and Her Family’s Feuds expands standard biography by turning the spotlight away from the poet and onto those who promoted her literary reputation after her death. And, in the process, furthered her legend. Using letters, medical records, a judicious amount of poetic interpretation – Lyndall Gordon makes a case for an alternative version of Emily Dickinson to the “girl in white persona” (a calculated ruse perpetrated by Emily and continued by her family). Gone is the virginal recluse. In her place is a middle-aged woman of strong passions and opinions. Who, as a girl, defied the founder of Mt. Holyoke by refusing to convert to fundamentalism; whose girlfriends stopped responding to her odd and frighteningly intense letters; who flaunted her flirtations with married men and in the last years of her life conducted a heated affair with the friend of her late father. ‘When Jesus tells us about his Father, we distrust him,’ she said. ‘When he shows us his Home, we turn away, but when he confides to us that he is “acquainted with Grief,” we listen, for that also is an Acquaintance of our own. Gordon’s research has provided us with a new interpretation of the woman and her poems. The most intriguing theory perhaps is that while Emily inarguably embraced her seclusion, the actual reason behind it was epilepsy. Due to the shame associated with the disease it would have remained a carefully guarded family secret even after her death. Medical records and a family history seems to support this. Both Emily’s uncle and nephew were likely epileptics. But why is this version of the poet so different from the one we learned about in school? Gordon explains that while the co-opting of Emily Dickinson began almost immediately upon her death, it had its roots in the events of the years leading up to it. In 1882 Emily’s brother Austin began an affair with a 26-year old faculty wife named Mabel Loomis Todd. It would continue until his death in 1895 with the knowledge and blessing of Mabel’s husband. For appearances sake the lovers’ trysts took place at the Dickinson sisters’ house, known as the Homestead. Next door at the Evergreens Austin’s wife and children were fully aware of what was happening, with no choice but to accept it. The Dickinson family divided into two camps over the affair. Austin, Mabel, Mabel’s husband and Lavinia in one. Austin’s wife and children in the other. Emily, perhaps for the first time, is shown to have remained sympathetic with her sister-in-law Sue. And when Mabel grew more brazen, colluding with Austin to disinherit his children, Gordon believes that it was Emily who held the line in their defense. This feud determined what became of Emily’s poems and, subsequently, what we know about the poet. Emily Dickinson and Mabel Loomis Todd never met in life. But after Emily’s death Mabel staged a daring coup for control of the poet’s legacy. She fought with Sue and Lavinia over the poems. Who had the right to edit and publish them? Whose name should appear on the book? To whom did ownership of the work belong? This situation was more complicated than it seems. Emily left all her possessions, including the famous handmade booklets of poetry, to her sister Lavinia. But over the years Emily had sent Sue hundreds of poems and letters, which Lavinia spitefully kept Sue from publishing. Instead, Mabel was brought in by Lavinia to edit the poems for publication. Lavinia never reimbursed or credited Mabel for her efforts, which were considerable. In a sense these women were fighting over who was the rightful heir to Emily’s spirit. 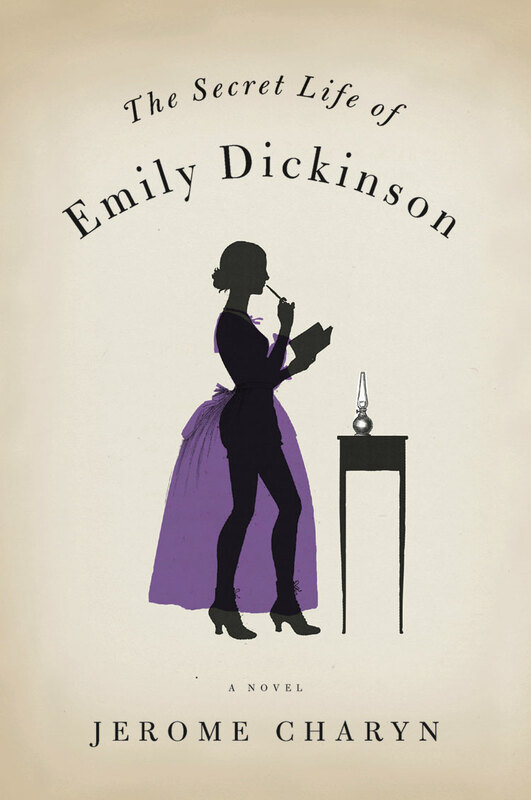 Written in an engaging, satisfyingly gossipy style, Lives Like Loaded Guns includes portraits of all the key figures in the mythos of Emily Dickinson. Gordon pays particular attention to Mabel, a controversial figure for obvious reasons. A woman whose passions and ambition rivaled Emily’s own, the simple fact that Mabel was born two decades later provided her with opportunities – as a New Women of the late 19th century – that the sheltered Dickinson women would never even have dreamt of. Here is the unclassifiable phenomenon: not quite the femme fatale, not quite the gold-digger, and not so much the social climber as to leave her husband in order to cling exclusively to her ‘King’. The constant in her history, far back, is that ‘presentiment’ combined with contempt for the domestic destiny of lesser women. Mabel’s ambition, confirmed by an array of talents but starved of means, came nearest the bone. Lyndall Gordon gives a remarkably fair and even-handed account of people and events. The breadth of this book is impressive, continuing on after the deaths of Sue and Mabel to look at the impact of the feud on the next generation. Both Mattie Dickinson and Millicent Todd Bingham continued fighting over Mattie’s aunt, each publishing their own editions of the poems and furthering their own agendas along the way. It’s a bitter history Gordon has taken on, but she does it with grace and due diligence. Biography is not for the timid. 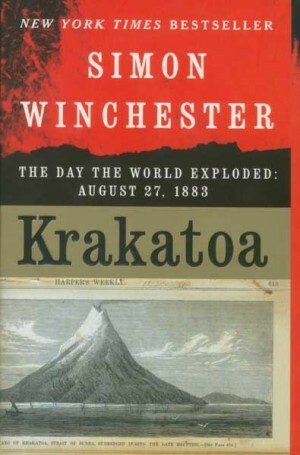 Publisher: Viking, New York (2010). Emily Dickinson & Stephen Cobert – What Do They Have In Common? Absolutely Nothing! It’s snowing in the Northeast. Again. Perfect reading weather. Per fect non-fiction reading weather. At the moment I’m working my way through Lyndall Gordon’s Lives Like Loaded Guns: Emily Dickinson & Her Family’s Feuds. It’s a shocking read! I’ve learned from Gordon that the real Emily Dickinson (there’s no nice way to put this) was creepy. And not in a cool, zombie kinda’ way. This book contradicts pretty much everything I know about Emily D. – which when I think about it isn’t much. She’s one of those shadow figures in literature whose legend is much more pervasive than the actual facts. 400 pages is a big, thick book. 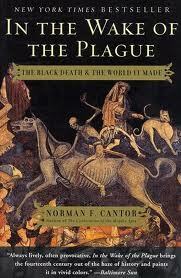 Not exactly a weekend read. 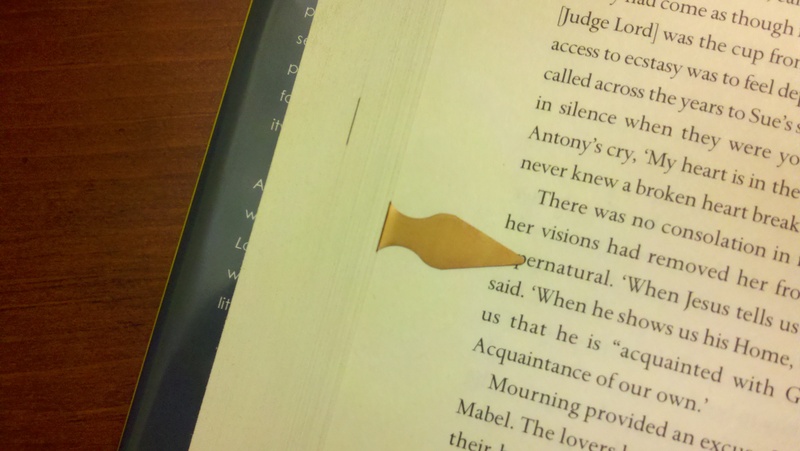 While I finish, I thought I’d share with you another (somewhat unusual) source of non-fiction book recommendations. 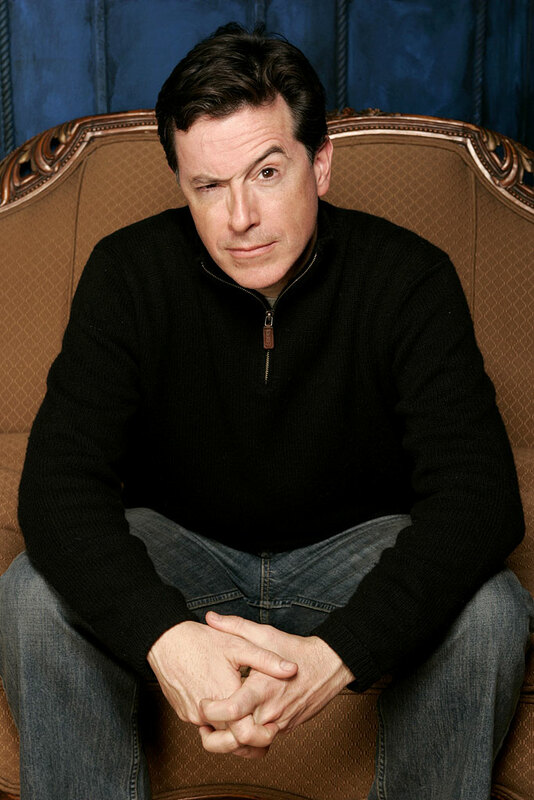 The satirist Stephen Colbert of The Colbert Report. I’ve only been watching the show for a month but, whether or not you agree with his politics, it is an inarguable fact that he interviews a lot of authors. I couldn’t find a formal book club advertised, like Oprah, so here are a few of my favorites TBR additions from recent shows. Atul Gawande. The Checklist Manifesto: How To Get Things Right. Fen Montaigne. Fraser’s Penguins: A Journey to the Future in Antarctica.